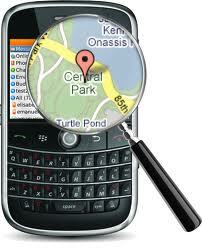 Location is vital to your success...we are ready to help you find the perfect location! The Sauk Prairie Riverway is located on the banks of the beautiful Wisconsin River in southcentral Wisconsin. It is 25 miles northwest of Madison and 21 miles west of Interstate 90/94, approximately midway between Minneapolis and Chicago. USH 12 and STHs 78 & 60 connect the community to the Madison metropolitan area. The Sauk City Business Park has recently been expanded to accommodate additional growth. The Village is seeking light manufacturing and assembly, warehousing and office related development. Downtown Sauk City fronts directly on the Wisconsin River. This attractive location is perfect for specialty stores and professional offices. The 150 acre Prairie du Sac Industrial Park has only four acres of land for development, but several buildings are available. The Park is fully improved with streets and utilities. The Village is seeking light manufacturing and assembly, warehousing and office related development. Downtown Prairie du Sac fronts directly on the Wisconsin River. The Village has recently completed streetscape improvements such as streetlights and crosswalks. New retail, office and condos are recent developments along this corridor. North Ridge Business Park brings 30 acres of premium office park property to the Sauk Prairie area. Located on the north side of Prairie du Sac on State Hwy 78, the park provides quick access to downtown Prairie du Sac and US Hwy 12 to Baraboo and Madison. Overlooking the beautiful bluffs and Wisconsin River, Culver Franchising System, Inc. (CfSi) Corporate Headquarters, Badgerland Financial Corporate Headquarters and Schwarz Insurance Corporate Headquarters call this business park home. For more information, visit www.northridge78.com. We want to make your experience with the Sauk Prairie Riverway memorable and personal. Please contact Tywana German, Executive Director, Sauk Prairie Area Chamber of Commerce at 608.643.4168 ext. 362 for a personal tour of the community and available properties. Click here for a listing of available properties in the Sauk Prairie Riverway.